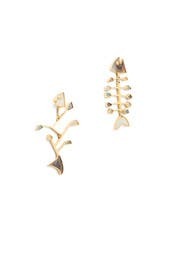 Frame your face with abstract interest with these mismatched fish bone earrings by Tory Burch. 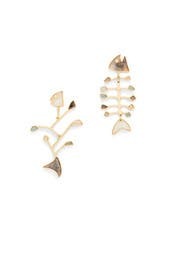 Vintage gold mismatched fish earrings with mother of pearl stone accents. Post backs for pierced ears. 2" long.